As we bid farewell to the past year and welcome 2019, we also embrace the new challenges and opportunities that the new year brings. Curious to find out what new year brings for your health? The zodiac is here to answer your queries! Look for your birth year, and you’ll find your personalised health forecast. It’s as simple as that! Take a look at what you can expect from your health! When you think of rats, the first thing that comes to mind will often be its revolting nature. Yikes! No one wants to be a rat. We’re not talking about those kinds of pesky rats here. We’re talking about the nifty, resilient rats which are, for a lack of a better word, smart. Gifted in many aspects, they are usually the ones we find ourselves getting jealous of. Don’t undermine the rat’s small size! Big in heart, they are also well known for their generosity. 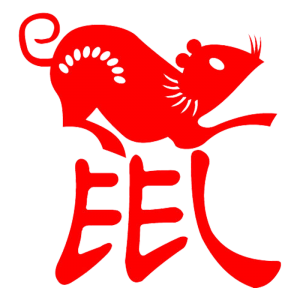 The friend always offering to lend you a hand may just very well be born in the year of the rat! That’s what makes them extremely likeable, and their optimistic outlook on life makes you want to be surrounded by these people more often. Ah, the most steady, reliable one of them all. Ture to their origin as a farmer’s hardest worker, those born in the year of the Ox are diligent and resolute. Once they have their mind set on a task, nothing short of a meteor strike can deter them from accomplishing what they set out to do. Task them to bring you the moon, and they’ll probably bring you the sun as well. 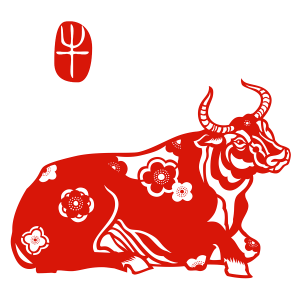 Although Oxen often seem boring, they are trusted by others because of their dependability and unsurprisingly, are held high regard. Health forecast: As you step into 2019, you will see changes in your health for the better. Nonetheless, you’ll be more prone to injuries this year. Be more mindful of your form when training to avoid any mishaps. Consider getting a full-body checkup if you have any existing injuries or ailments for this purpose. Integrate low-impact workouts into your routine (yoga is great) to build up your strength. There’s a high probability of you sticking to your new years’ resolutions this year and results are sure to follow! One of the symbols of power, tigers are majestic beings which are most comfortable leading the pack. 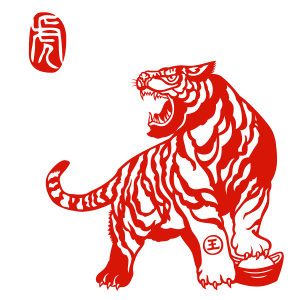 Those born in the year of the Tiger are naturally independent, with high self-esteem. Most of them can be found in leadership positions. They are righteous and will never shy away from defending themselves or others. You’ll probably find yourself seeking out Tigers with disputes, which they’ll straighten out for you in a pinch. Health forecast: In terms of emotional health, it can be quite volatile for you this coming year. You can get angry easily, which stresses your liver. Take control of your emotions instead of letting your emotions take control of you. Good news for your physical health! The chances of you falling ill are very low this year, (so you’ll be able to save on medical fees!). Overall, you’ll have a healthy year ahead of you, but don’t forget to exercise regularly too! Rabbits are not just cute: Beneath that fluffy exterior is a force to be reckoned with. Those born in the year of the rabbit tend to be gentle. They effortlessly impress others with their grace and sensitivity. When faced with a dispute, they serve as a peacemaker and will more often than not turn an enemy into a friend. 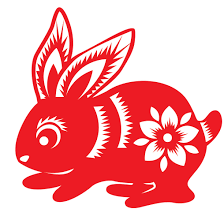 Don’t mistake their gentleness for weakness – those born in the year of the rabbit usually demands a lot out of their of life and of those around them! Health forecast: You’ll see improvements in your health in general, but need to pay attention to your mental health. Maintain a good work-life balance – give yourself adequate rest and learn to say no to new tasks if you already have too much going on. Stress will be the biggest issues you need to tackle this year. It may cause a lack of sleep, which can lead to overeating! Take the chance to de-stress by getting closer to nature. A hike through lush greenery will be sure to get you powered up and ready to go! The dragon is held in high esteem in the Chinese culture. This mythical creature is known to posess divine power and is regarded as a bearer of wealth. 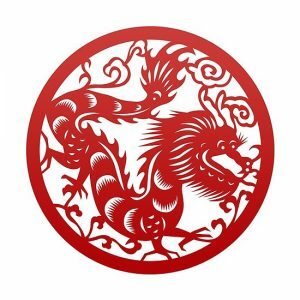 Those born in the year of the dragon are often lively and intellectual, making them the life of any party. You need not fear dragons, as they have a kind heart beneath their outgoing disposition. They steer clear of hypocrisy and gossip, making them a valuable friend that we all need. Health forecast: You’ll experience good health this year. Because of your energetic nature makes you turn to high-intensity exercises to burn off all that energy. While that’s a great way to maintain your standard of fitness, avoid getting complacent! Pushing yourself too fast, too far will land you with injuries that work against you. Above all, keep an eye on your health condition aand avoid getting overloaded at work. Other than being regarded as a cunning and sly animal, snakes also represent wisdom and wit. In the medical world, you may have seen them around: featured on the caduceus, which comprises of a pair of snakes intertwined around a cross. 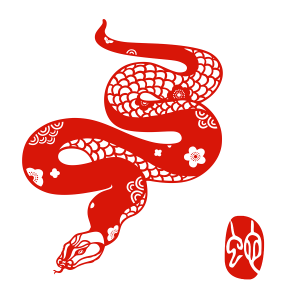 Those with the snake’s zodiac sign are naturally intelligent and have a thirst for knowledge. They are prudent and rational when it comes to making decisions, and will not let their emotions get in the way of important choices. Your go-to for an unbiased point of view! Health forecast: Your health is quite vulnerable, especially or those who lack constant exercise. Joint health is a priority in 2019, and needs to be boosted with adequate calcium. If you are one to constantly work out in the gym, try stepping outdoors for a change! The fresh air and greenery will surely provide you with that much-needed vitamin D. You do well coping with stress, so you can rest assured that your mental health is in good condition. 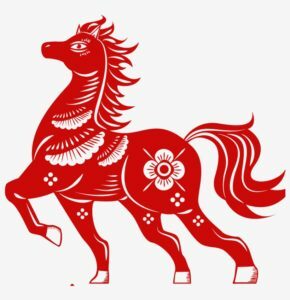 Horses are associated with independence, and those born in the year of the horse are no different. Their can-do attitude and self-confidence can often bring them much success. They also are fiery and warm-hearted. The first one to offer their assistance, they can be seen surrounded by many friends. They also love meeting new people and have no trouble with expanding their social circle. Health forecast: Naturally born with a weaker immune system, you may find yourself prone to minor ailments, such as coughs and headaches. Rest well and keep your hygiene and exercise levels up! Employ your self-preservation skills to prevent any major illnesses. 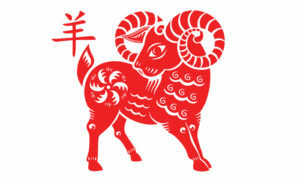 Those born in the year of the goat are more thoughtful than most, and place others above themselves. Because of this, they are intuitive when it comes to others. Constantly asking after others, their compassion knows no bounds. Health forecast: Watch out for your mental health! You will often find yourself easily stressed and tense, caught up in your troubles or just worrying for others. Don’t let this affect your mood and emotions too much. Open your eyes to what is going around you, as you may be so caught up in your concerns that you forget about your surroundings. This means placing your safety first as you leave your house. Be mindful of traffic and other environmental factors that may harm you. Think about your own well-being and what you would like to improve this year, instead of worrying for others all the time. Charles Darwin proposed that we humans are evolved from apes. Scientific studies also deem this explanation the most probable. After all, we humans share much of our DNA and characteristics with them, don’t we? 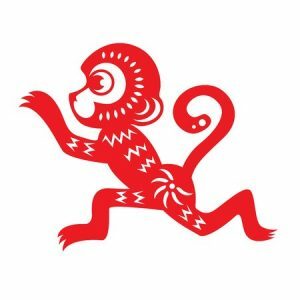 Quick-witted and adaptable, those born in the year of the monkey thrive wherever they are. Health forecast: With boundless reserves of energy, you are constantly ready to conquer the world. It would be good to tone down that energy once in a while. Activities such as meditation or yoga will help you reconnect with yourself and gain physical strength. Otherwise, do take advantage of your vitality, and pick up a new sport this year! Maintaining a regular exercise schedule will make you less prone to health risks. Think their only purpose is to caw at dawn? Well, know that those born in the year of the rooster don’t take after roosters in this sense – in all likelihood, they also snooze their alarms too! 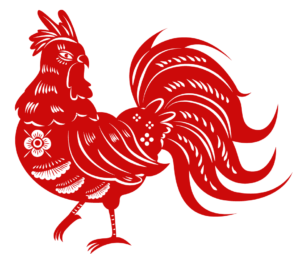 People with the rooster zodiac are tenacious when it boils down to reaching their goals. Although these goals may seem overly ambitious, their practical approach to life primes them for success. Failure is no match for their conscientious working style. Health forecast: No surprises here! You’re looking at a stable state of health here, without dramatic fluctuations. However, anxiety and stress are likely to manifest this year. Place your mental health at the forefront, and rest when you need to. Grab the chance to spend time with your family as you may have neglected these relationships in the past year. Be extra careful when travelling as you’ll be at a higher risk of accidents! As man’s best friend, dogs are loveable and garner the affections of all who come across them. 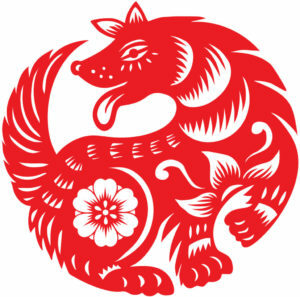 Similarly, those born in the year of the dog are naturally happy bringing out the best in themselves and others. Their enthusiasm is infectious and often inspires others with calls to action. Filled with loyalty, you can count on them to stick with you through thick or thin. Health forecast: It is advised that you are proactive in upkeeping your health, as this is a perfect year for you to make improvements to your health! When opportunities appear to do so (joining a health class or taking up a new sport), grab it and make the most out of it! With regards to your diet, it is better to err on the side of caution and load up on your veggies as you may be so focused on exercising that you neglect your health. Pigs are often labelled as lazy and slow-witted. Apparently, they haven’t been reading much of Charlotte’s Web. On the contrary, those born in the year of the pig are the opposite! Those with the pig zodiac are warm-hearted and draws others into their homely disposition. Their friendliness makes them excellent in dealing with people, and they are excellent judges of character. Health forecast: This is your year! Fret not, you won’t be lacking in luck in terms of health. While your health may not improve by leaps and bounds, it definitely won’t deteriorate dramatically either. Engage in lower-intensity exercises this coming year to supplement your wellness efforts. Results may not appear immediately, persist and don’t give up! This is especaially important as you may find yourself easily discouraged, more so than others.